Does Your Keel Look Like This? Datchet Buoys Take a Keel Off!! What do you do if your keel looks like this? Well you have to repair and repaint it! Well how? Aren’t they very heavy? 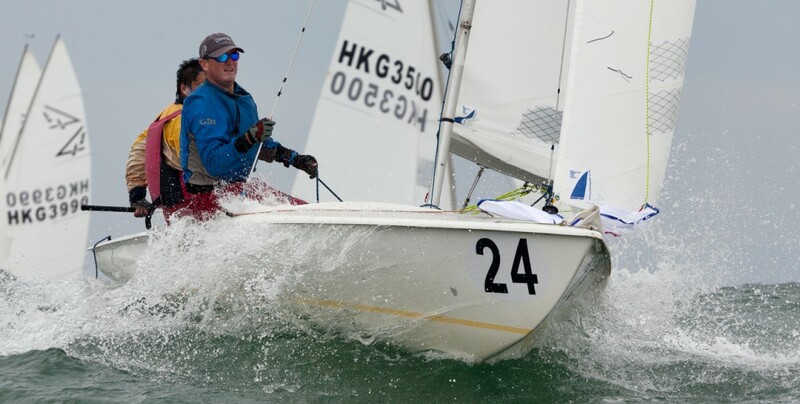 Well, Phil Tinsley, broke his finger moving the keel from 3316 (club boat) – so beware! Splendidly, Phil works for an organisation that doesn’t use the rowing VIII’s storage bay from July to January – and the roof beams are very suitably spaced! The patent Apthorp method of keel removal and management has been followed, and proved once again a winner. Reverse your 15 on it’s trailer into the garage/shed/boathouse, and attach the stern to the roof – the mainsheet anchorage is often ideal. Then ensure the keel is securely lashed down to the trailer – front and rear as it will be nose heavy once the boat lifts free. Now attach the furler or the jib tack mounting to a lifting pulley system attached to the roof. Ensure the rear/stern lines are as tight as possible – lower the jockey wheel then gently take up any slack winding it up. Then you use a 19mm socket (normally) to loosen the 8 keel bolts – the heads are in countersinks in the keel, covered with filler usually. Once the nuts are on the end of the threads, start taping the bolts out of the boat – use a drift or thinner bolt once they are flush with the hog – NB DO NOT hit the thread of the bolt directly as it will burr over the thread making re-fitting the nut impossible! Once all 8 are out, you can crank up the bow pulley system, and enjoy the keel peeling away from the hull! 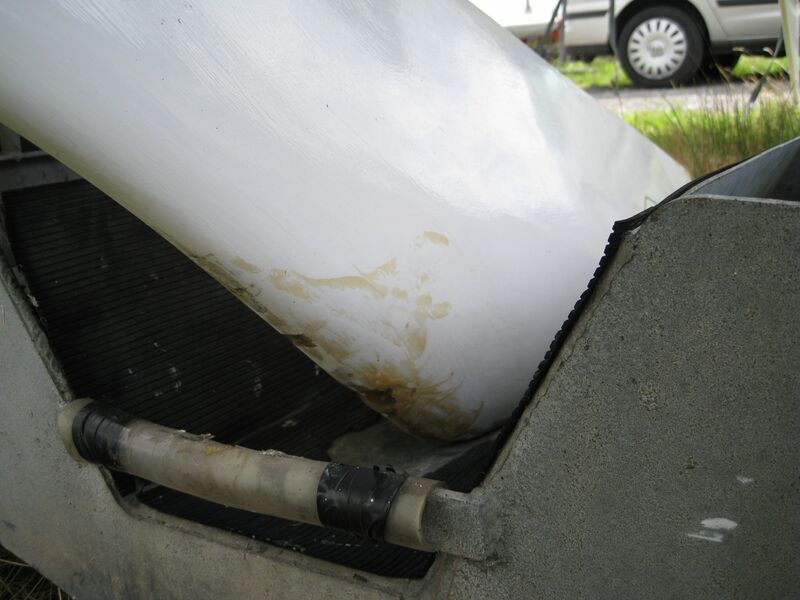 The weight of the keel, strapped to the trailer is usually firm enough to allow the hull to lift off the keel, peeling the sealant apart in the process. Very satisfying. The keel can then be transported/moved to where you are going to work on the keel. The front of the keel should be tied to the cross beam of the trailer that the mast travels on, if you are moving the keel on the road. The Fleet at Datchet owns a special frame that the keel can be bolted to upside down for repainting. Re-fitting is a matter of alignment and luck! Wheel the trailer in and do a test alignment of the keel with the hull – and mark to wheel position. The rear of the keel needs to be slightly closer to the hull than the front, as you ease the bow down onto the keel. Check the 8 bolts slide into the hull smoothly. Run a bead of sealant around the outer edge of the keel, and wheel it back into place. Use four thinner longer bolts in the outer four holes through the hull to help alignment . Use four of the keel bolts, slid in from the inside, in the inner four holes, to refine the alignment. Slide the four outer bolts in from the outside, removing the thin longer alignment bolts as you go. Once the outer four bolts have the nuts on, swap the inner four around and attach their nuts, and tighten from the outside in. Release the hull from the roof, and the jobs done! For complete peace of mind, before you fill the bolt heads and fair the filler in, loosen the nuts one at a time, allowing you to use sealant under the washers along the hog.